Tu dors Nicole gets its Ottawa premiere at DiverCiné. DiverCiné, Ottawa’s biggest Francophone film festival, returns to Ottawa March 7 with a week-long celebration of films from La Franophonie in Canada and abroad. The festival, which is held by the Canadian Film Institute in collaboration with the Embassy of France in Canada, the Department of Canadian Heritage, and in partnership with ByTowne Cinema, brings cinematic highlights from various Francophone filmmakers and invites local film fans to join in a larger cultural celebration with discussions, presentations, and diverse programming. I need to start this article with a genuine nod of “Well done!” to the Academy for their effort this year. The Canadian Screen Awards show signs of significant improvement as they move through to their third year. This week’s first wave of kudos across television and digital media includes worthy winners such as Tales from the Organ Trade, Our Man in Tehran, and A History of the Highrise. The film front, moreover, is a strong celebration of Canadian movies. The award show is helping these films reach audiences so that Canadians may appreciate the strong work coming out from our own filmmakers. It’s one thing to spotlight Canadian content, but the effort is far more effective when audiences celebrate Canadian films that are great movies regardless of their origin, and this year’s Canadian Screen Awards lets us do exactly that. Extra! Extra! Daniel Perlmutter and Ennis Esmer Talk 'Big News from Grand Rock'! with Tammy Isbell, Peter Keleghan, Gordon Pinsent, and Kristin Booth. “I’ve never lived in a small town, but I’ve always loved that you get such a sense of the community when you pick up a small town newspaper,” says director Daniel Perlmutter. “You feel like you are reading about the people around you, rather than bigger issues, which are also important, but there’s something about really reading about your neighbours and your friends that can bring a community together. 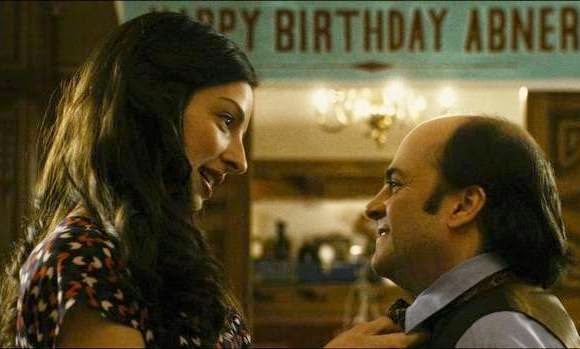 That’s an experience that you don’t really have in the city.” Perlmutter’s upcoming film Big News from Grand Rock finds an unlikely underdog story in the offbeat tale of one lone editor’s creative quest to save his fledgling newspaper in the fictional Canadian town of Grand Rock, Ontario. Perlmutter and Grand Rock star Ennis Esmer, who plays the in-over-his-head editor Leonard, joined me in a chat over the phone to talk about their new film, which opens in Canadian theatres February 27. The hilarious duo makes some great observations about the creature comforts of community newspapers and, as a cottager reared on stories about homemade pickles and columnists waving down Canada Post on the highway to get said pickle stories delivered to the pages of The Pontiac Equity, I think the duo’s points resonate as much as the slice-of-life humour does in Leonard’s befuddled quest in Big News from Grand Rock. Is it Hot Docs already? My TIFF Docs coverage only just hits the stands! It's good to have docs on the brain at any time, though, and Hot Docs has lots for us to get excited about this year with their first 17 films announced for the 2015 edition of the festival. (I hope to make it again this year!) 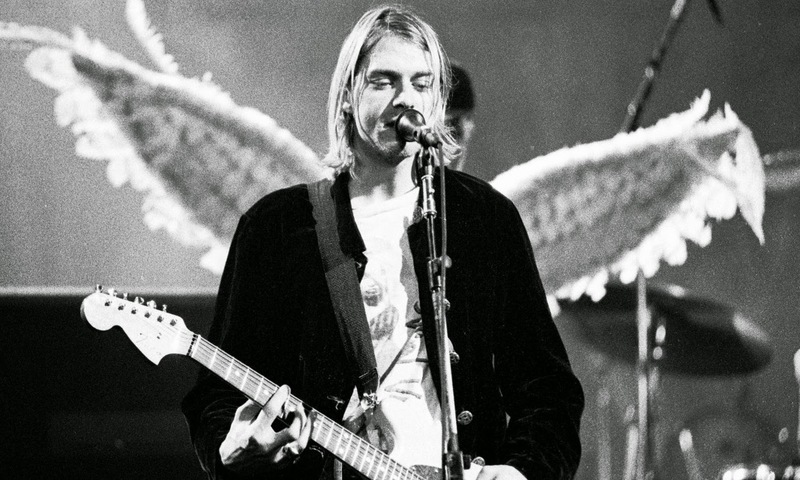 Among the titles are the fully authorized Kurt Cobain doc Kurt Cobain: Montage of Heck, the World Premiere of Robert Cohen's Being Canadian, prizewinners from Sundance and other international film festivals, along with retro screenings of Barry Avrich's The Last Mogul and Jennie Livingston's Paris is Burning. The full list of films for Hot Docs '15 will be released March 17. Hot Docs runs April 23- May 3. Allons-y on a trip to the strange and magical world of Henri Henri. Henri (Victor Andrés Trelles Turgeon) doesn’t know his own last name, so he simply offers an awkward smile and a nod whenever strangers introduce themselves and wait to hear his full name. “Henri…?” they ask as Henri holds an infectious grin and responds, “Henri, Henri,” affirming their understanding of his first name without understanding that they’re probing for his family name. 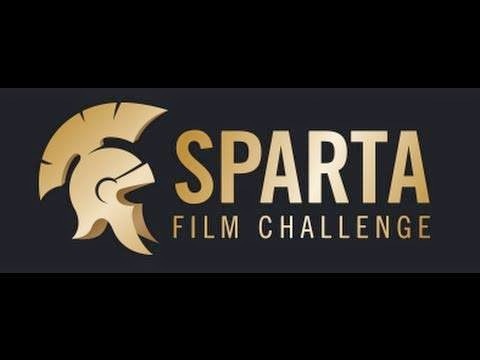 I enjoyed some judging duties this weekend with the SPARTA Film Challenge in support of DIFD, which aims to create awareness and support for youth mental health. This round of Ottawa’s 72 Hour Film Challenge tasked filmmakers with shooting a film in a mere three days using the ‘catch criteria’ of a line of dialogue (an iconic movie line) and a purple DIFD wrist band. I wasn’t able to make it to the Monday screening as planned (car trouble... everyone’s battery is dying these days! ), but it’s fun to watch the films on the small screen even if you can’t see them on the big one. 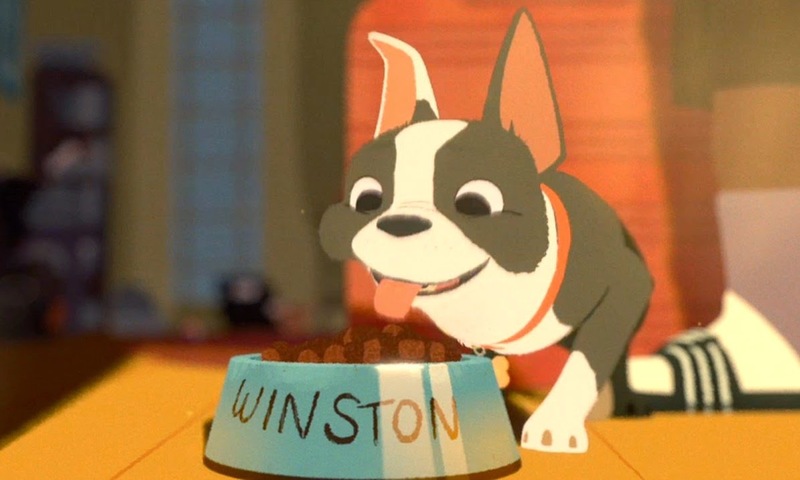 Feast was an OIAF 2014 hit. The Ottawa International Animation Festival is now accepting submissions! OIAF invites filmmakers to submit their films for the upcoming festival, which runs September 16-20. OIAF is the largest animation showcase in North America and far and away the biggest and best film event in the National Capital. Last year’s festival boasted impressive numbers with animation fans from home and abroad flocking to The ByTowne to enjoy the latest animated offerings from Canadian and international filmmakers. Notable OIAF 2014 selections include a trio of Oscar nominees for Best Animated Short—The Bigger Picture, Me and My Moulton, and the eventual winner Feast—plus a handful of Canadian Screen Award nominees including the animated documentary Seth’s Dominion, and a grand showcase of Disney work including series curated by Leonard Maltin and Jerry Beck and a retro screening of The Little Mermaid. Enjoy some of Herr Mendl's Courtesans au chocolat on Oscar Night! The Inspirational Disney Sports Movie is a becoming an annual affair that offers a wholesome, perfectly inoffensive sports movie. One approaches said Disney sports movie (ex: Miracle, Million Dollar Arm) expecting exactly these ingredients (plus a reliable male lead) and one gets nothing more and nothing less than one anticipates. 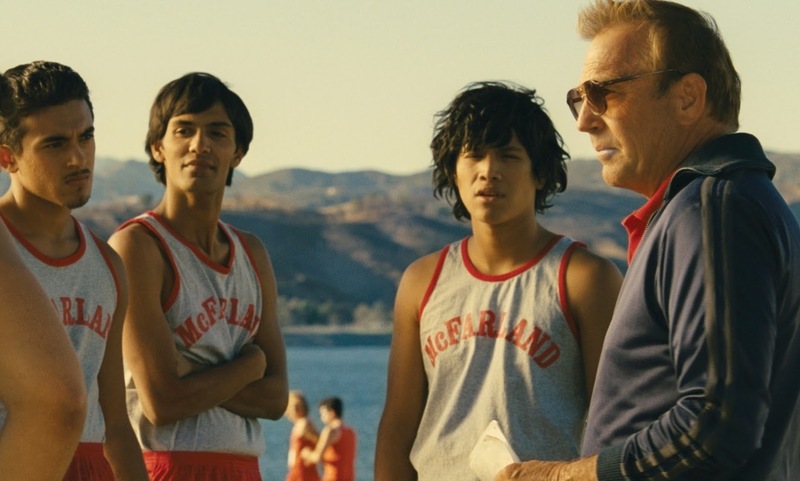 McFarland, though, runs the extra mile. “The new ones are so serious,” says Harry Hart (Colin Firth) during a posh dinner of Big Macs and fries with Valentine (Samuel L. Jackson). Harry, a spy under the codename Galahad in the Knights of the Round Table-themed aliases of the British secret service organization the Kingsmen, discusses spy movies with the megalomaniac Valentine in one of the many tongue-in-cheek moments of the spy spoof Kingsman: The Secret Service. If Harry and Valentine aren’t fans of the stern Skyfall-era James Bond films, then they’re in good company with anyone who misses the days when espionage and realism didn’t go hand in hand. 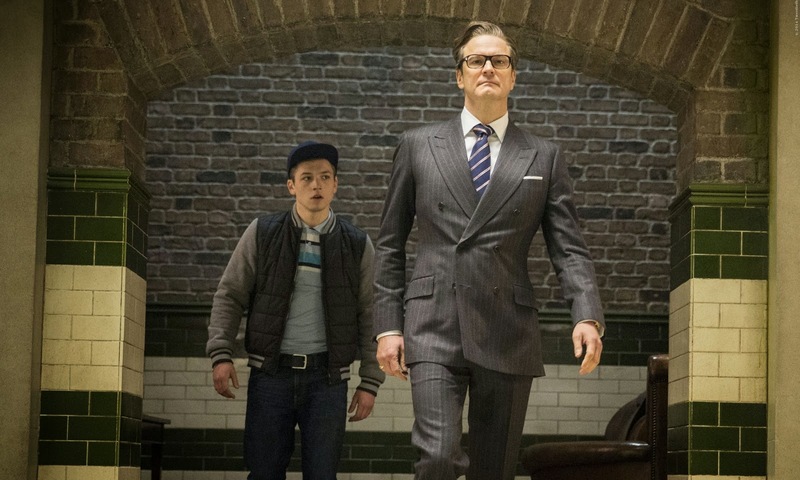 Kingsman is a raucous throwback to the Roger Moore era of spy cinema (re: James Bond in Space), and this fun, auctioned-packed farce is a riot. The line-up for +TIFF ’s 12th annual Human Rights Watch Film Festival has just been released and it boasts eight documentaries that highlight extraordinary stories from around the world. Among the docs are Wim Wenders’ current Oscar nominee for Best Documentary Feature The Salt of the Earth and Joshua Oppenheimer’s festival sensation and follow-up to The Act of Killing, The Look of Silence. 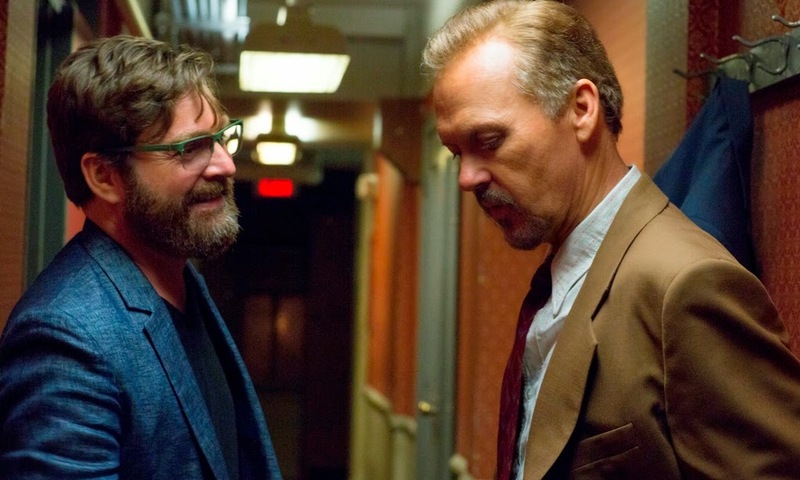 (Both films made the OFCS list of the best unreleased films of 2014.) Other notable entries and festival favourites include the surprise (and worthy) for the People’s Choice Award for Best Documentary at TIFF 2014, Beats of the Antonov and my favourite Canadian doc from last year’s festival circuit, The Wanted 18. (I covered the latter three films for POV during TIFF and you can find links to the reviews below, along with additional coverage in the upcoming spring issue.) 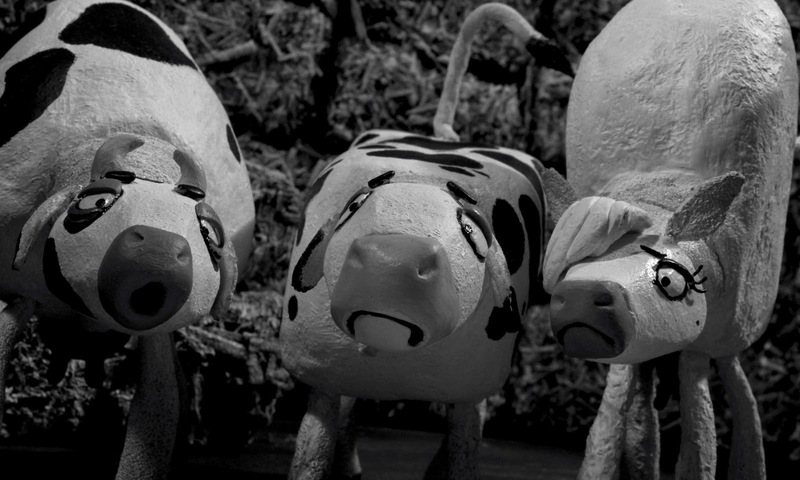 You don’t want to miss this wild and wholly original docudrama that puts some endearing clay cows at the heart of the human rights movement. The festival line-up includes a hot of special guests to engage audiences with Q&As following the screenings, but, sadly, the cows are not among them. Pack your bags and enjoy your stay! The gang’s all returning for The Second Best Exotic Marigold Hotel! 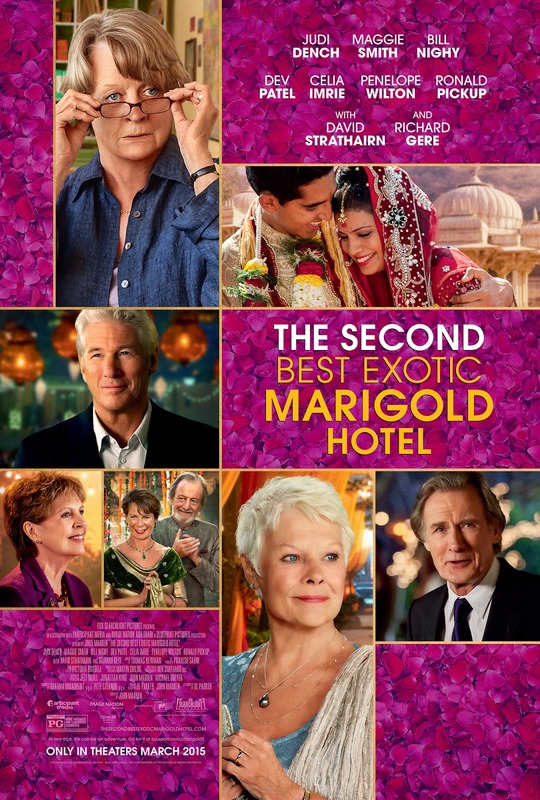 Judi Dench, Maggie Smith, and all your favourites from The Best Exotic Marigold Hotel are back and this time they’re bringing newcomers David Strathairn and Richard Gere. The Second Best Exotic Marigold Hotel opens in theatres across Canada on March 6 from +Fox Searchlight, but if you live in Toronto, Vancouver, or Calgary and you want to attend a sneak peek, you are in luck! Answer the trivia below for your chance to win tickets! Reese Witherspoon as Cheryl Strayed in Wild. I was wondering when we were finally going to get this video! A new Wild music video of 'El Condor Pasa (If I Could)', Simon & Garfunkel's song that serves as the main theme for the Jean-Marc Vallée, just just been released on Yahoo. It's nice to get this highlight reel towards the end of Oscar road, since this song itself virtually defined the year in movies for me ever since Vallée used it to kickstart a Wild interview back at TIFF and took the song as a thread in the table's exploration of Cheryl Strayed's powerful story. I love the snippets they use to highlight the performances of Reese Witherspoon and Laura Dern, and the intricate cutting of the video tells a story itself simply through the associative editing between the actors, movements, and images, which is a fine tribute to Vallée's (overlooked) work on the film. It's been a great ride, Wild! A few more presenters have been added to the list for the 2015 Canadian Screen Awards. Among the names slated to be on stage at the show are last year’s Best Supporting Actress winner Sarah Gadon (whose Maps to the Stars is a Best Picture nominee), and 2015 nominees Suzanne Clément (Mommy), Marc-André Grondin (TuDors Nicole), Kim Cattrall (“Sensitive Skin”) and Michael Murphy (Fall). These names join presenters previously announced by CBC and the Academy, including Kiefer Sutherland and Tatiana Maslany. Michelle Monaghan and Michael Keaton on location for Penthouse North. The two most high profile local productions since House at the End of the Street hit home video today. Girlhouse, the slasher which opened OIFF last year, and the mystery Penthouse North are among the bigger Ottawa films in terms of production values in the former and star power in the latter. I don't think that either film is especially good, but they’re at least worth checking out as curiosities with local flavour, even though they both set their stories in America. 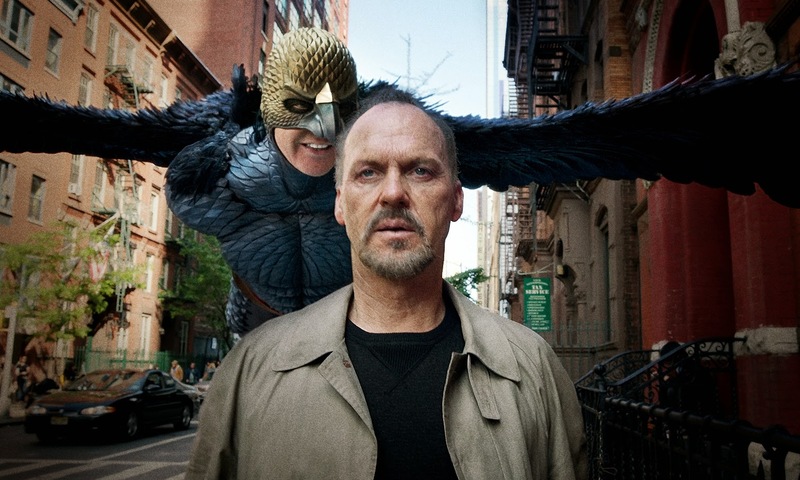 Michael Keaton as Riggan in Birdman. Do you have that trashy book everyone’s reading? Fifty Shades of Grey? Oh, yeah. It’s right over here. We actually have a Buy 2 Get 1 Free deal going on this week, too, if you’re interested in reading the whole trilogy. Oh, there’s three of them? [Flips the cover.] Hunh. Have you read it? [blushes] No, no. Not yet… But my mom has and she said it was fun. It’s really popular. I think it’s everyone’s mom’s favourite book right now. Can I get this on my Kobo? Kristen Stewart as Lydia and Julianne Moore as Alice in Still Alice. 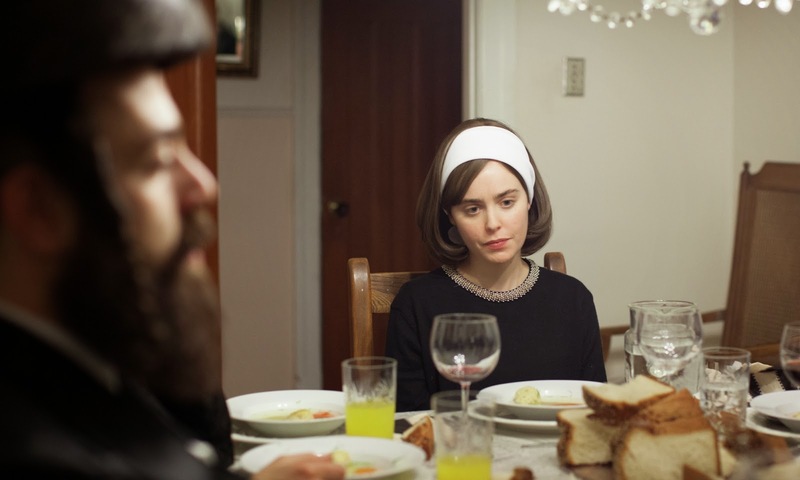 Photo by Jojo Whilden, Courtesy of Sony Pictures Classics. The Netherlands is a police state in the not-so-distant future and the youth, the nation’s future, are its prisoners. One young man, Sam (Matthijs van de Sande Bakhuyzen), finds himself at the centre of this strange, powerful, and corrupt system when he awakens in a daze on the city subway with nothing other than a backpack, a mysterious girl named Lara (Ella-June Henrard), whom he faintly recognizes, and a swarm of po-po pursuing him as if he’s a wanted terrorist. Kids have an innate sense of how to navigate dystopia now that moviegoers between the ages of ten and twenty-five find themselves within the family tree of Katniss Everdeen and Tris Prior, but Sam, renamed 7 in his depersonalized world, navigates a dangerous situation from which even a mockingjay might have trouble fleeing the coop. Take Boy 7 as a Euro Hunger Games or as a Dutch Divergent, and this fast-paced adventure into a haywire future is a pretty wild romp. Lily (Jessica Rothe) and Kat (Hannah Murray) are two inseparable friends in their early twenties who are wild, fun, and ready to conquer the world. They’re still young enough to feel that they may live without the burden of responsibilities, but life comes calling very quickly when Kat abruptly announces that she’s moving back to London in a mere seven days. Lily, shell-shocked and heartbroken by the news, which Kat casually brings up at a party with thirty-to-fifty of her closest friends, finds herself in a quarter-life crisis and she begins to re-evaluate the foundation of her relationship with her BFF. 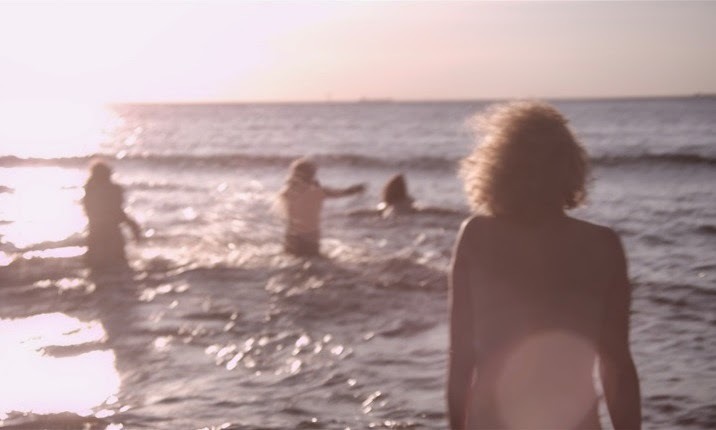 Lily & Kat, which has its world premiere at the TIFF Next Wave Film Festival, captures the frustrating, heartbreaking, and terrifying (yet exciting) period of growing up and becoming an adult as the test of Lily and Kat’s friendship puts Lily’s life in perspective. 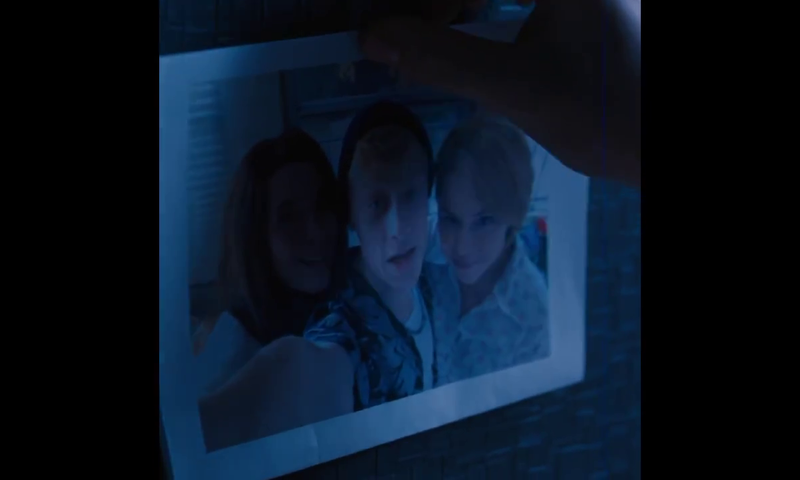 Three women. No names. Only roles and places. Mark Women in Horror Month with a Free Screening of 'Dys-' on Friday the 13th! Okay, Ottawa! If you missed the screening of Dys- at the inaugural edition of the Cellar Door Film Festival last year, here's your chance to catch CDFF's first Audience Award winner. (Or see it again!) 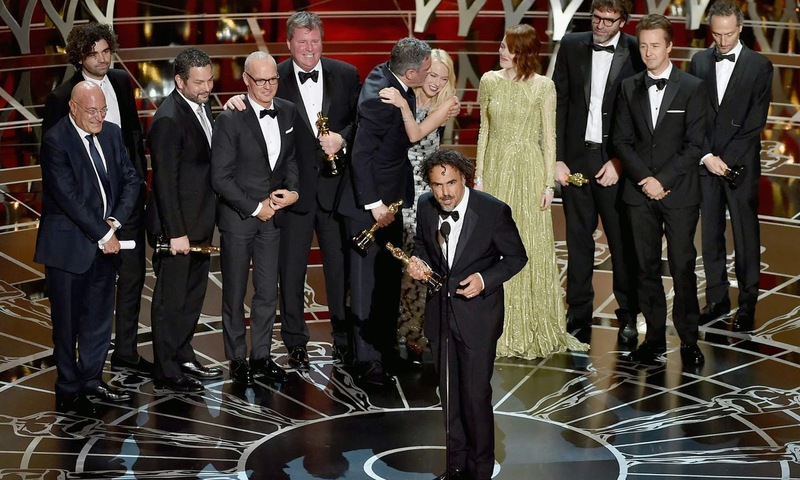 The film also scooped the Public Prize at Montreal's Fantasia Film Festival. Dys-, which also made this blog's list of the Top Ten Canadian films of 2014, screens at Carleton University in a special event for Women in Horror Month to spotlight women in Canadian horror. Dys- director Maude Michaud will be doing a Skype Q&A following the screening. This event is FREE and is is co-sponsored by the School for Studies in Art and Culture and the School of Canadian Studies (Carleton University), and Cellar Door Film Festival. Okay, kids, calm down. The Good Son isn’t some Nordic remake of that 1990s thriller starring Macaulay Culkin as some sinister Damien. There are ample parallels between this Good Son and that Good Son, but this Finnish dramedy about a troubled teen takes a far more successfully humorous approach to spoiled brats. (Arguments can be made about the Culkin film, but comedy arguably isn’t among its intentions.) This black comedy from Zaida Bergroth screens at Bright Nights: The Baltic-Nordic Film Festival this Friday and it provides a spot-on example of the current of dark humour rippling throughout the festival. 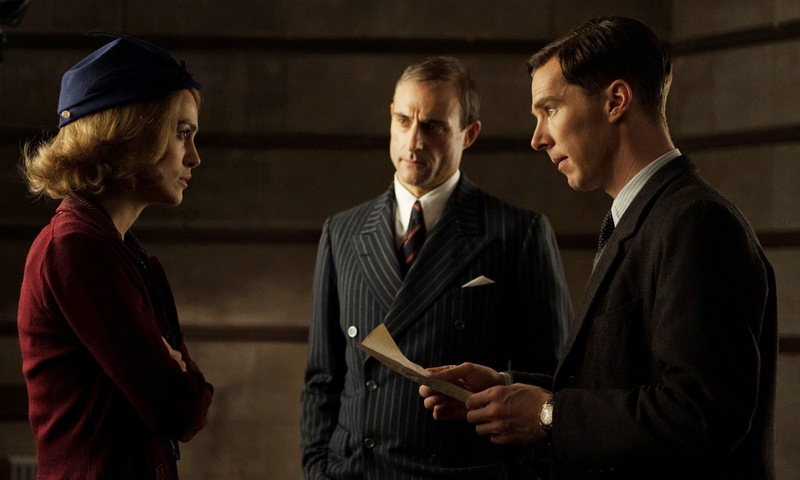 Keira Knightly, Mark Strong and Benedict Cumberbatch star in The Imitation Game. Bring the film festival experience right into the comfort of your own home when the Toronto International Film Festival partners up with The New York Times for its ongoing interactive conversation series TimesTalks. TIFF announced today that its collaboration with the Times will bring the festival’s mission to transform the way audiences see the world through film onto the web by livestreaming conversations between Times journalists and today’s leading talents and thinkers. The talks air before a live audience of film lovers and invite industry leaders to discuss the hottest films. Playing catch-up with some of the Canadian Screen Award nominees this week, including these two hidden gems that I might has otherwise missed! 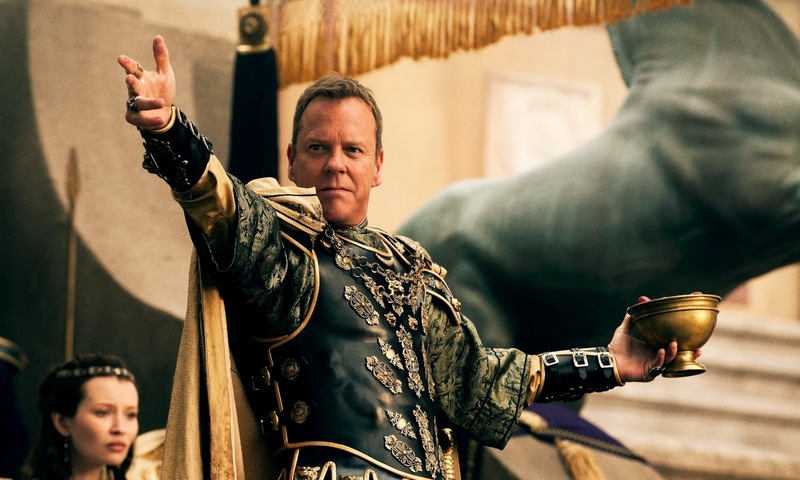 Kiefer Sutherland stars as Senator Corvis in Pompeii. Today brings the first wave of names announced as presenters for this year's Canadian Screen Awards broadcast. 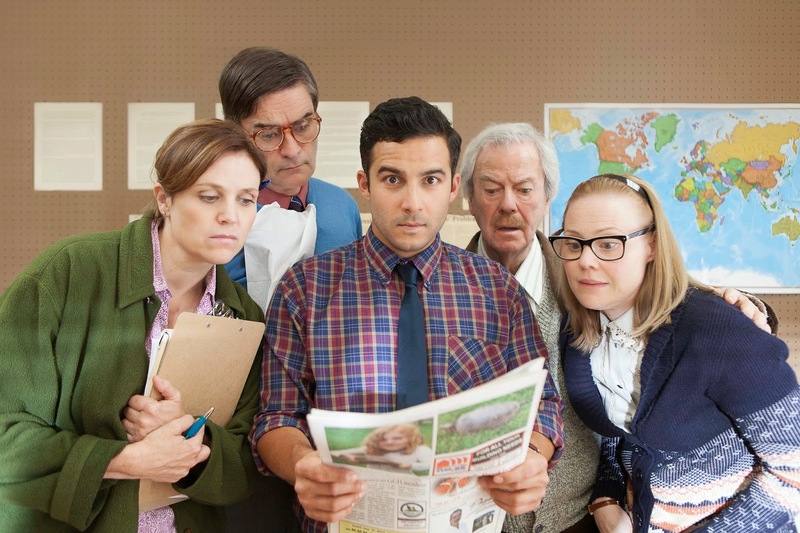 The Academy of Canadian Cinema and Television and the CBC named 'Orphan Black' star (and past CSA winner) Tatiana Maslany among the bunch, along with Eugene Levy ('Schitt's Creek', A Mighty Wind) and his son Daniel Levy ('Schitt's Creek'), Arisa Cox ('Big Brother Canada'), Meagan Follows (Anne of Green Gables, Hard Drive), and Patrick J. Adams ('Suits') as presenters. These actors join the previously announced Kiefer Sutherland, whom the Academy named as a presenter when news came that his Pompeii would be honoured with the Golden Reel Award for highest Canuck grosser at the Canadian box office. The full list of nominees is available here. Wet Bum. Photo courtesy of TIFF. The next generation of film lovers may see the best works from a new generation of filmmakers when the TIFF Next Wave Film Festival starts in Toronto at TIFF Bell Lightbox this Friday. TIFF Next Wave features films targeted for younger filmgoers, but these films are also programmed by the next generation of curators and festival programmers. This diverse line-up of world cinema shows that teen moviegoers deserves a lot more credit than we give them , and It’s always fun to see which films are deemed to get it right by the people represented in the frame. It’s so exciting to see how much the local film scene is growing. Challenges are plentiful and new film festivals are emerging more and more. Now comes a long overdue awards initiative to recognize the work of local filmmakers. The Ottawa Independent Video Awards have their inaugural edition this year to honour film and video artists in the National Capital Area. The OVIA awards are presented by SAW Video and will be handed out every two years. 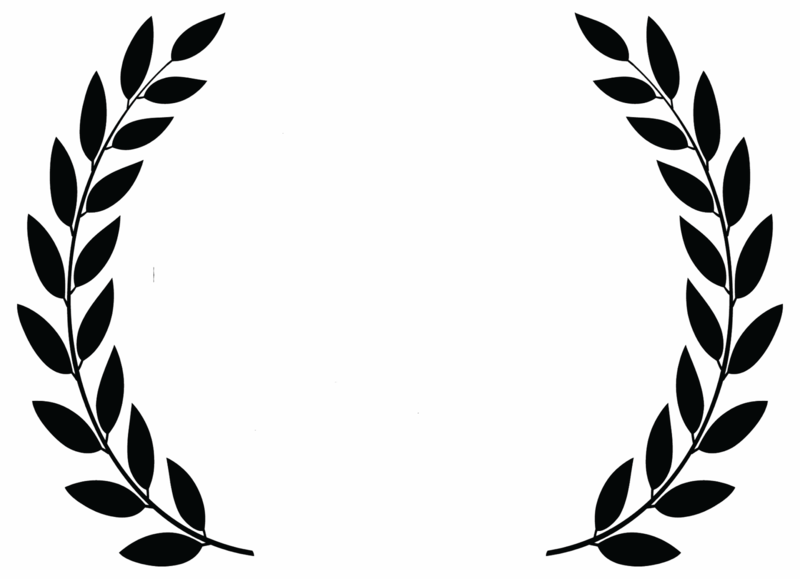 The first OIVA Awards gala will be held Saturday April 11th at the Arts Court Theatre and will include a screening of the winner selected from the nominees. Laura Dern in Wild: Sunshine in human form. Bright Nights: The Baltic-Nordic Film Festival kicked off its fifth year with the opening night presentation of Latvia’s box office hit The Lesson. The Lesson, which looked great on the new DCP projection at the River Building Theatre at Carleton University (the CFI’s new home for 2015), marks an edgier offering for Bright Nights, but a strong one too. There’s a lot to grapple with in this engaging and highly debatable film that invites moviegoers to confront questions of morality, propriety, and modesty, but also elements of storytelling and filmmaking that bridge art and life. The Lesson marks a provocative and stimulating start for the festival. Here’s an update on one of the projects I mentioned last month while rounding up the Canadian stuff at Sundance. The interactive web project Way-to-Go by Vincent Morisset, Caroline Robert, Édouard Lanctôt-Benoit and the studio AATOAA, is now available online and I just gave it a whirl. It’s really cool. Sure to be an audience favourite at this year’s Bright Nights: The Baltic-Nordic Film Festival is the ambitious and poignant Lithuanian drama The Excursionist. This intimately epic historical drama examines the aftermath of World War II through the eyes of one courageous young girl, and The Excursionist is just as moving as it is revealing. (I honestly knew nothing about this chapter of history before seeing the film.) The remarkable and inspiring true story of the journey of young Maria (Anastasija Marcenkaite) is bound to touch festival audiences this year. Starring: Mila Kunis, Channing Tatum, Eddie Redmayne, Sean Bean, Douglas Booth, Tuppence Middleton, Maria Doyle Kennedy. 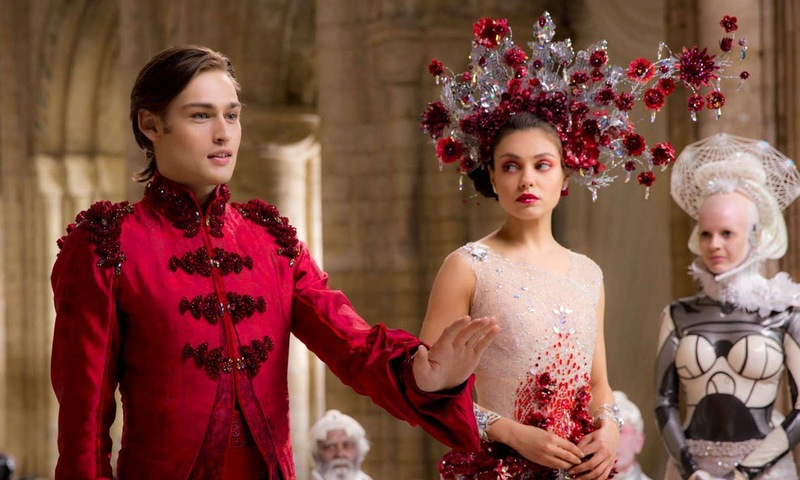 Jupiter Ascending pitches itself as a “space opera” and I sadly think it’s safe to say that the proverbial fat lady is finally singing the names of The Wachowskis. It’s over, Andy and Lana. We're through. 'I'm just mildly flawed,' Elliott Anderson (Kevin Costner) offers in his defense as he sits in the witness stand during the proceedings of Black or White. Elliott faces a charge of racism as he fights to keep sole custody of his granddaughter, Eloise (Jillian Estell), following the unexpected death of his wife and her grandmother (Jennifer Ehle, a bit too young to be playing a grandmother). The pickle of Elliott's case is that he stands as the remaining family on the Anderson side of the family (Eloise's mother died during childbirth) and he still blames Reggie (André Holland), Eloise's absentee drug addict father--correction, Eloise's black absentee drug addict father--for her death. Don’t let all this snow put a chill in your spirit: I see Bright Nights ahead in the forecast. Local film buffs should take note of a cinematic destination as they lace up their skates for Winterlude this week and look for some indoor events to mix with the outdoor fun. 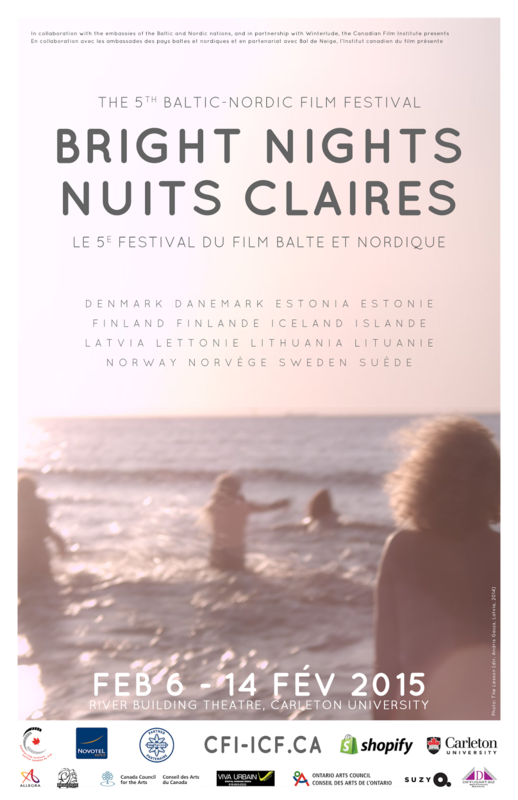 The Canadian Film Institute’s Bright Nights: Baltic Nordic Film Festival moves to the River Building at Carleton University in its fifth year, which makes the annual winter film festival a great extension along one’s skate down to Dow’s Lake on the Rideau Canal.